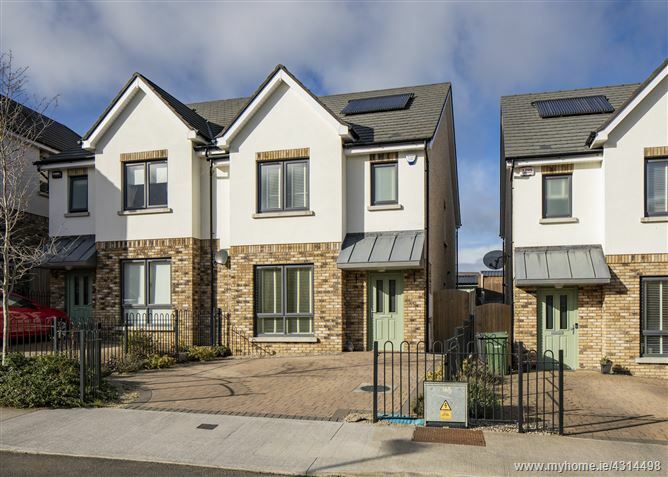 Newly built (2015) in the first phase of Millers Glen, No. 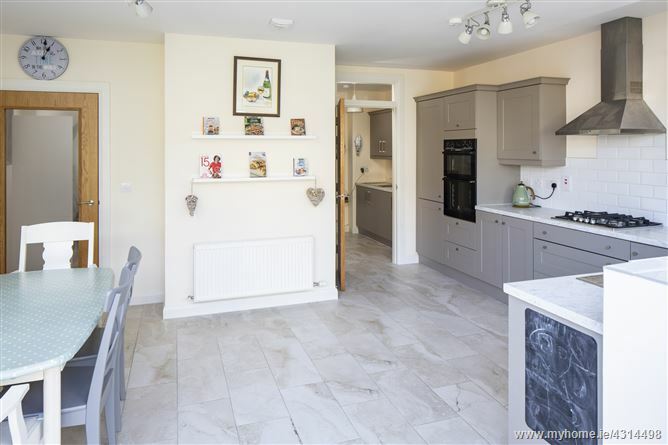 11 The Green is a large three bedroom semi-detached home extending to a generous c. 122 sq.m. (1,313 sq.ft.) with the benefit of a sunny West facing rear garden. 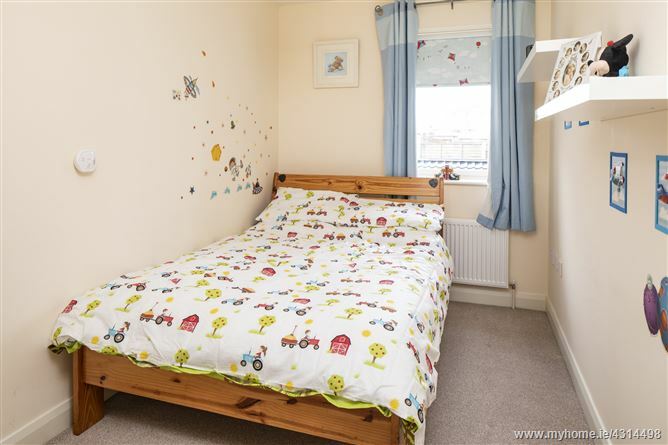 The property has been decorated to a high standard throughout to include 12mm Oak laminate flooring to the entrance hall and living room, additional matching units fitted to the utility room, timber home office/playroom to the rear garden, integrated kitchen appliances and water filtration system. 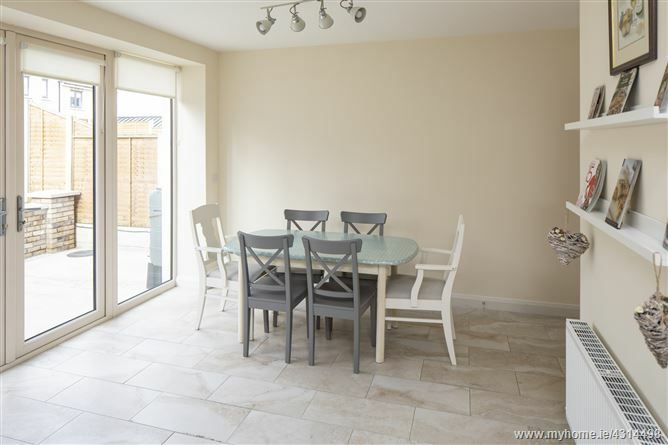 On inspection the viewer will be impressed by the spacious accommodation, high ceilings and light filled rooms. 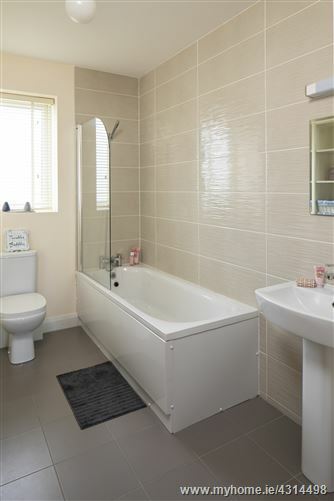 The entire property is presented in immaculate condition. To the front the property overlooks green space, there is a cobblelock driveway and side entrance. 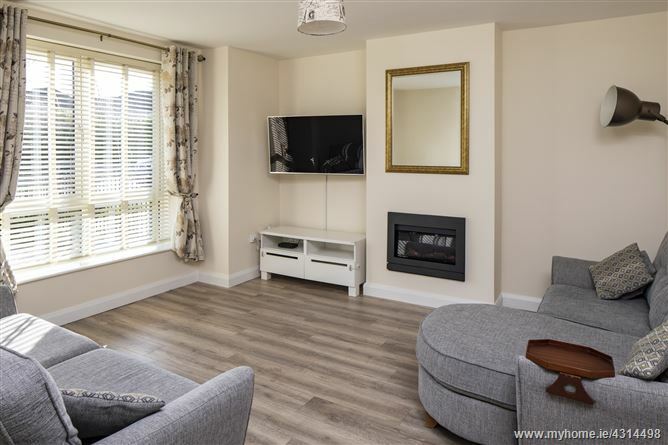 Shops, schools, bus routes (Swords Express & Dublin Bus) and all amenities are within minutes walk. Viewing is highly recommended to appreciate the quality of accommodation and fit out on offer. guest wc off, attractive staircase to first floor. Wc and whb. Tiled floor. 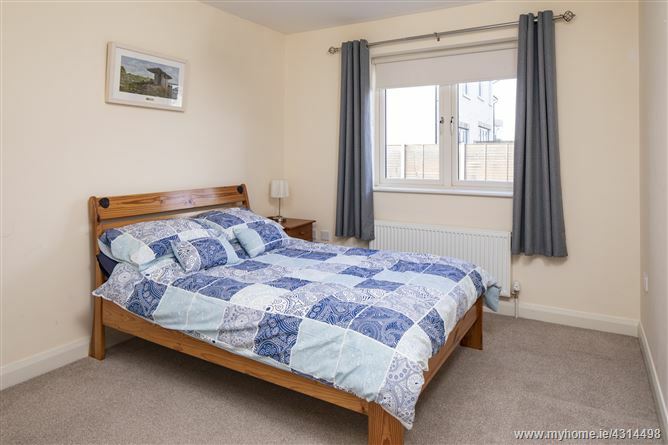 Bright and spacious room with 12mm Oak laminate flooring. Electric fire. 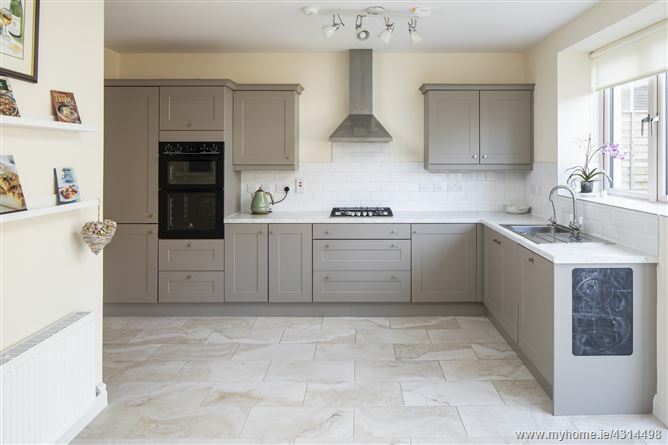 Superior quality fitted kitchen with quality integrated appliances including Electrolux double oven, Finlux fridge/freezer, Zanussi gas hob. Wall and floor tiling. Water filtration system fitted under the sink. French doors lead to the private, sunny West facing rear garden. Large utility room off. Tiled floor. Additional wall mounted storage units to match the kitchen. Whb. Plumbed for washing machine. Landing	-	Carpet fitted to the stairs and landing. Large walk in hotpress off. Access to large attic space offering excellent potential to convert. 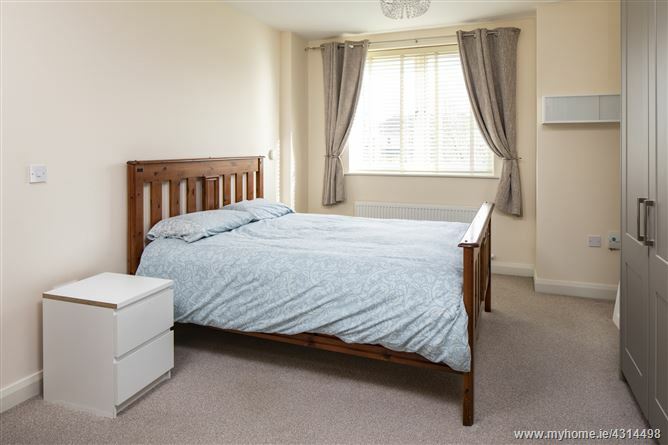 Double bedroom with built in wardrobes and en suite off. Carpet fitted. 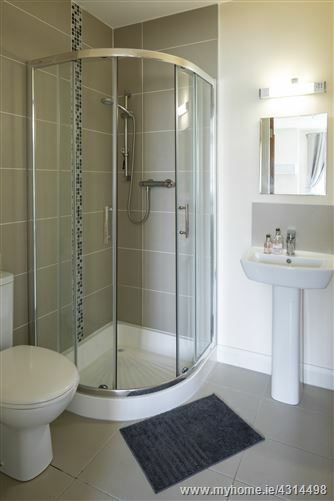 Spacious en-suite with corner shower, wc & whb. Heated towel rail. Wall mounted cabinet with mirrored doors. Tiled floor. Part tiled walls. Bathroom -	Bath, wc & whb. Shower over bath. Tiled floor. Part tiled walls. Heated towel rail. To the front there is a cobblelock driveway and side entrance. 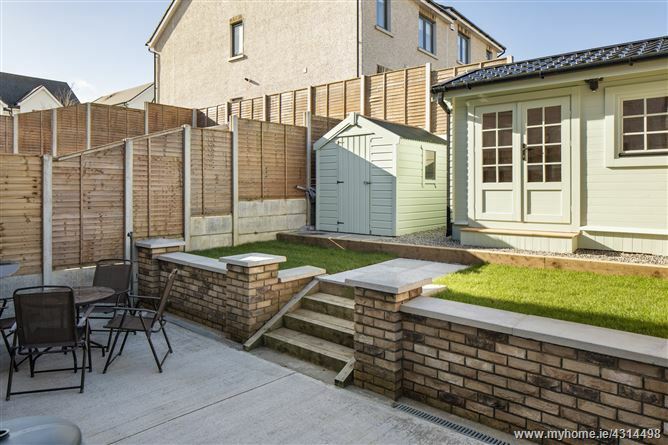 To the rear there is a sunny West facing rear garden with patio area and lawn. Rain water harvest tank. Double outdoor power socket. Timber panel fencing. Timber storage shed. 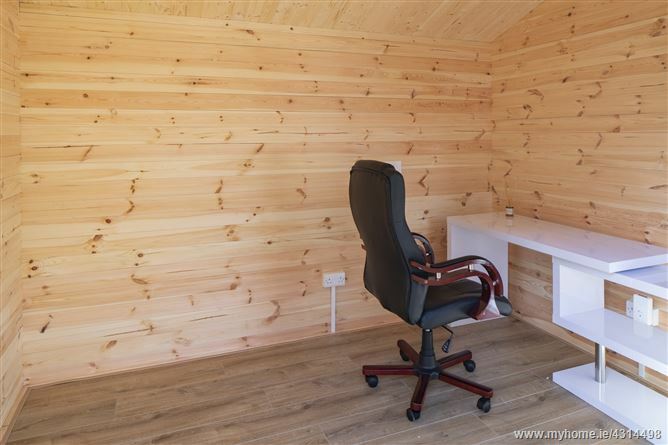 Timber home office/playroom 3.1m x 2.7m with lights and sockets.